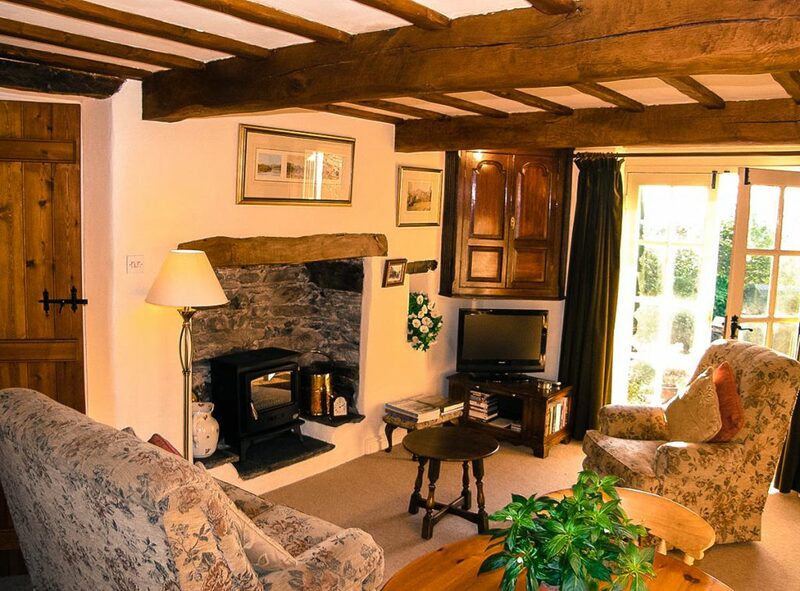 With oak beam ceilings, cosy inglenook fireplace and stunning views of the surrounding fells, the cottage offers single storey accommodation. There is a tastefully furnished Sitting Room with a well-equipped kitchen area; two shallow steps lead to a Shower room and comfortable bedroom with the option of a large Super King bed or twin beds. There is also a useful storeroom for boots, outdoor clothing and equipment. French windows lead from the Sitting Room to a paved patio which overlooks the garden and, if you come in the early springtime, you can enjoy our famous crocus lawn. The panoramic views across the rooftops of Ambleside make this a delightful spot for eating al fresco, or simply relaxing and enjoying the many visitors to the bird table.